Huf is pleased to announce that it has been awarded the coveted Marketing Intelligence & Innovation Award (MIIA) in the category "Mobile App Innovation" for its IntelliSens app. The prize, which is awarded by the Quadriga Hochschule Berlin, honours performance-oriented marketing results that incorporate innovation, technological progress and efficiency and are of an inter¬disciplinary nature. In awarding the prize, the judging panel singled out the IntelliSens app by Huf that can be used to configure universal sensors for tyre pressure monitoring systems (TPMS) quickly and easily. 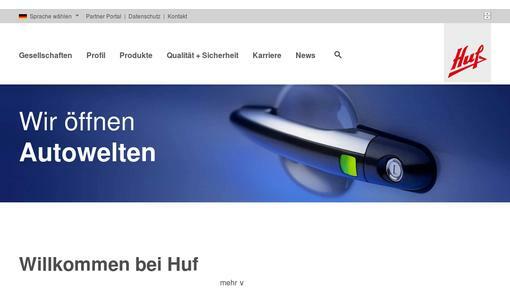 'It is fantastic that we were able to win against competitors such as RTL Radio Center Berlin, Gelbe Seiten Marketing Gesellschaft, TUI and SBK Siemens Betriebskrankenkasse with this product. 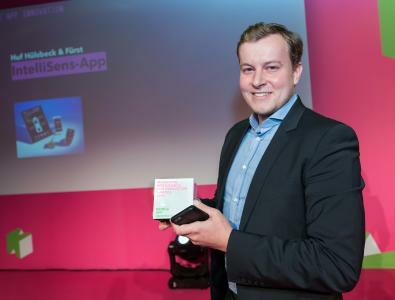 The judges honoured the fact the app makes the TPMS service much easier for workshops, tyre dealers and distributors', says Slawomir Potrykus (Product Manager Independent Aftermarket) who presented the app and received the award on behalf of Huf in Berlin. The panel evaluated the approach and the suitability of the strategy chosen by Huf for the app. The judges were won over by the all-in-one solution for workshops that have previously been reluctant to invest in a diagnostic device for their TPMS service. All that is needed is the mobile end device (smartphone, tablet) that the workshop already owns and a small connector (HC 1000). Changes and new vehicle models are automatically updated in the app and available immediately. Another plus point: the app is available in eleven languages. The direct support available via Teamviewer is unique on the market. The communication between the app on the mobile end device and the sensor is carried out via Bluetooth with the Huf Connector "HC1000", which functions as a data transmitter between the sensor and mobile end devices. 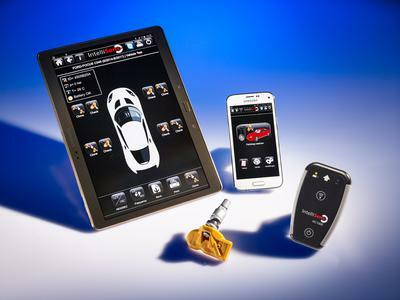 The bottom line is that the IntelliSens app has proven itself an affordable alternative to current TPMS diagnostics devices. The Quadriga Hochschule Berlin is one of the leading educational institutions for management and communication in business and politics. Here, managers are prepared for the future challenges of the digital world. For the MIIA, the Hochschule put together a judging panel of digital professionals. It comprises marketing personalities whose focus is the issue of digitalisation. Representatives from the worlds of business and science¬ analyse, discuss and evaluate the submissions for the Marketing Intelligence & Innovation Awards in a total of 24 categories throughout the year. Selected best cases are given the chance to be presented in front of a broad audience at the Marketing Management Congress (MMK) in December 2016. 'The Congress serves as a meeting place for marketing pioneers to discuss and develop important trends, techniques and underlying currents in digital marketing. We would therefore be pleased to be given the opportunity to once again present our app there', says Slawomir Potrykus, looking optimistically to the future. 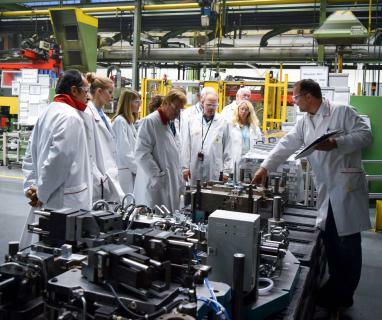 Huf develops and produces tyre pressure monitoring systems (TPMS) for renowned car manufacturers across the world: Audi, Aston Martin, BMW, Bentley, Bugatti, Ferrari, Lamborghini, Maserati, Mercedes-Benz, Mercedes Truck, Mini, Novabus, Porsche, Prevost, SsangYong, Volkswagen, Volvo Truck, to name but a few. 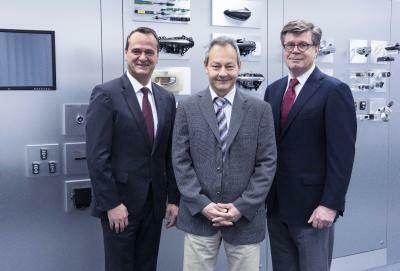 In addition to several original replacement sensors, Huf also offers the universal sensor IntelliSens for the replacement part market; this has the best vehicle coverage on the market and is the quickest to install sensor thanks to its unique concept. A variety of valves, accessories and tools complete the offer. With the new IntelliSens app, sensors are now simpler and quicker to deal with in terms of diagnostics and configuration.